It's been more than a year and a half--19 months to be exact--since Charlotte won the bid to host the 2012 Democratic National Convention. All of the hard work and planning from DNCC and Host Committee staffs, volunteers, local businesses, media, and everyone in between, comes to fruition as the festivities begin. 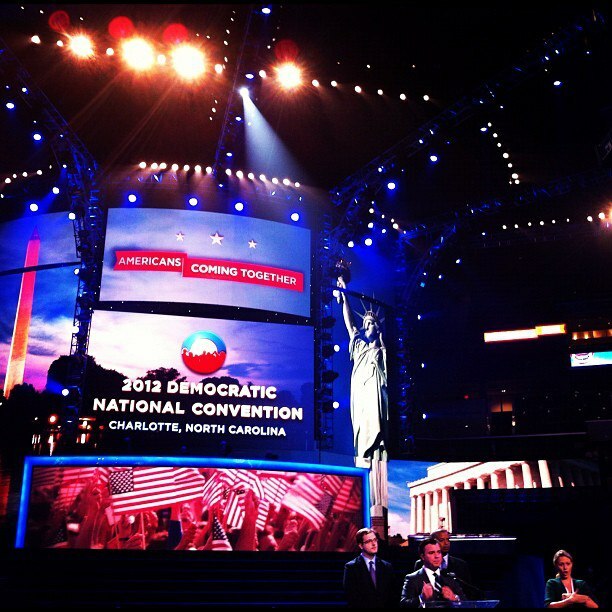 For the past year, on Charlotte magazine's "The DNC In The CLT" blog, I've been chronicling what Charlotte has done to prepare for hosting the convention, in which President Barack Obama will formally accept the Democratic Party's nomination for reelection. This week, there will be more activity than ever on the DNC blog, with Charlotte magazine staffers contributing, and you can check out all of the magazine's related coverage at www.charlottemagazine.com/dnc. Time Warner Cable Arena, where the major television news networks will broadcast this week, has been transformed into the Democrats' mecca for the convention. One particular blog post you'll want to check out, if you haven't already, is a list of dozens of DNC Week events I compiled that are open to the public, ranging from free events like Monday's CarolinaFest in Uptown, to Tuesday's party at The Westin with President Bill Clinton and will.i.am of The Black Eyed Peas for $150 a ticket, to Wednesday's Victory reception at Dressler's (where I'm being honored with a Rising Star award), put on by the Young and Powerful Group, to closing night of the Democratic National Convention at Bank of America Stadium where President Obama will speak, but not until after the crowd is entertained by Foo Fighters, Mary J. Blige, Earth, Wind and Fire, James Taylor, Marc Anthony, and more. It's all on this list. And finally, you can check me out on a couple of television appearances this week, sharing my insight about the Democratic National Convention. Watch me Monday, September 3, shortly after 6:30 a.m., on WCNC NewsChannel 36 (Charlotte’s NBC station), on the morning show. 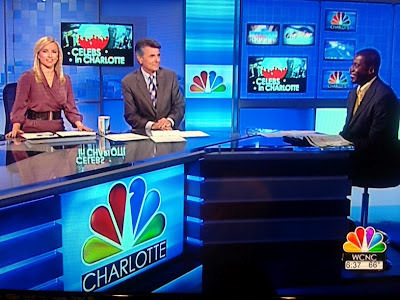 And Tuesday, I'll make an appearance on WCNC's Charlotte Today, which airs at 11 a.m. Set your DVR! My appearance a week and a half ago on WCNC's morning show.